Our requirement is when Sitecore request for Solr access, Httpwebrequest has to authorize client certificate to access Solr, so we added patch config as mentioned in above link, we are able to authorize certificate via our pipeline but when we try to access Sitecore Indexing Manager, Indexes are not appearing. We did the following Steps: 1. Commented below line of code in Sitecore.ContentSearch.Solr.DefaultIndexConfiguration.config file. 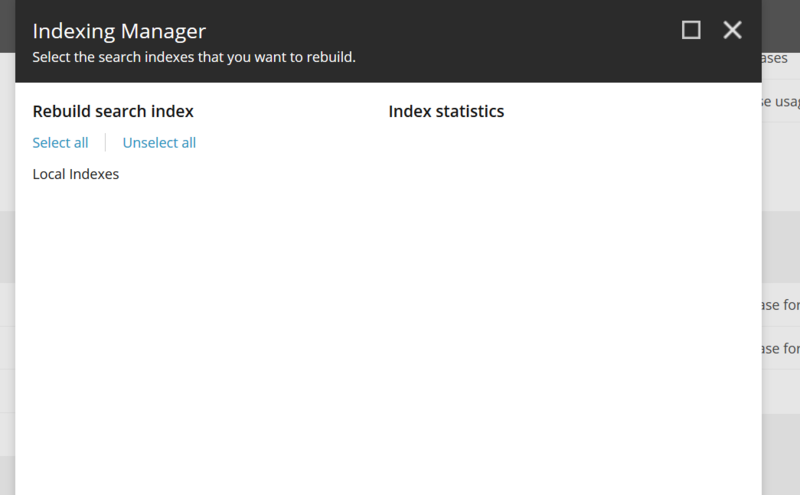 When we set SOLR_SSL_NEED_CLIENT_AUTH to true, Sitecore Indexes stopped appearing on Indexing Manager. The issue is with this setting enabled to true.If I tried to disable this setting to false indexes worked but it is not authorizing properly. There is some configuration change we need to update to access "Solr SSL Need Client Authentication" in Sitecore which I am not able to find. I've seen some of the Commerce installation processes update the Sitecore.ContentSearch.config file under App_config/Sitecore/ContentSearch folder and set it to "false." In order to see the indexes in the index manager ContentSearch.Enabled setting must be set to "true"
I found the solution. Client certificate with patch code did not work in local. I deployed same patch to Server. It worked. Not the answer you're looking for? Browse other questions tagged sitecore-client solr or ask your own question.